Today, Bandai Namco Entertainment Europe announced Taiko No Tatsujin Drum ‘n’ Fun will be receiving a physical release in Europe. The company also confirmed HORI’s Taiko Drum Set will be making its way to Europe. 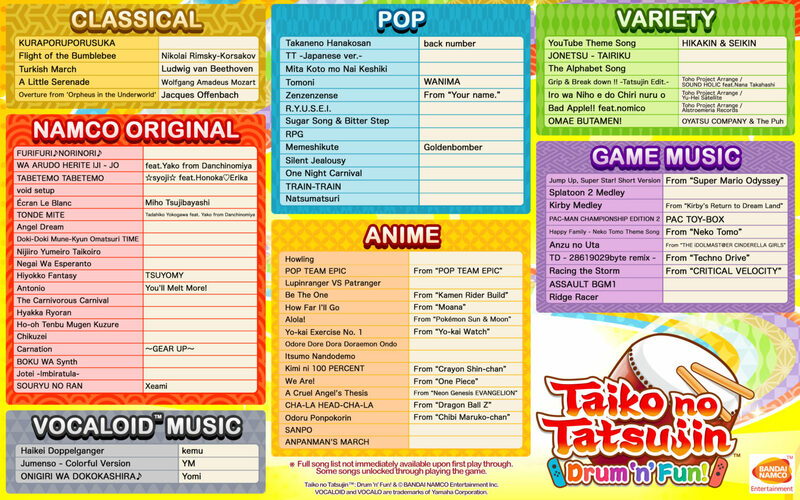 And as we’ve reported earlier, Taiko no Tatsujin: Drum ‘n’ Fun will have the exact same list of songs as the Japanese version. Two new games,Taikono Tatsujin: Drum ‘n’ Fun! 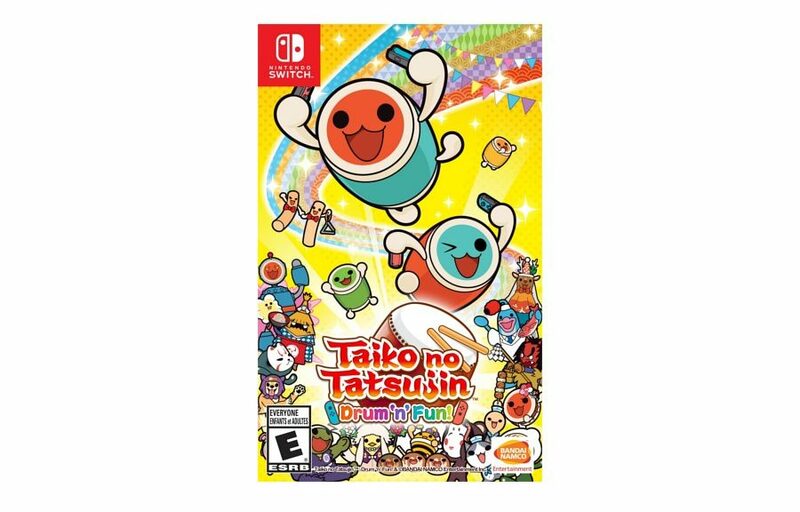 for Nintendo Switch® and Taiko no Tatsujin: Drum Session! for PlayStation®4 has been recently announced for release on 2nd November, 2018 – with BANDAI NAMCO Entertainment Europe today revealing the full track list. All tracks from the original Japanese version of each game will appear in the European version – in the original Japanese release format to fully replicate the arcade experience. Taikono Tatsujin: Drum ‘n’ Fun! for Nintendo Switch® includes the mythical “CHA-LA HEAD-CHA-LA” from Dragon Ball Z®, “How Far I’ll Go” from Moana® (presented in Japanese) and even classical songs such as the “Turkish March” composed by Beethoven. The PlayStation®4 version, Taiko no Tatsujin: Drum Session! also features some popular Japanese songs such as; the viral YouTube hit “Pen Pineapple Apple Pen” to “Let It Go” from Frozen® and “Genkai Toppa X Survivor” coming directly from Dragon Ball Super®. BANDAI NAMCO Entertainment Europe also confirms that to make the experience as close as possible to the arcade game, the Nintendo Switch® version – Taikono Tatsujin: Drum ‘n’ Fun! will have its very own Taiko Drum Set in Europe.